How much do you know about Volkswagen? Perhaps a better question is this one: how much do you think you know about an automotive brand founded during Germany’s darkest years, specifically the 1930s? Volkswagen translates to “people’s car” from German, a vehicle authorized by Adolf Hitler and designed by Ferdinand Porsche. The idea for the car was to produce an affordable vehicle for the masses just as the country inaugurated its autobahn or network of interstate highways. The People’s Car Project yielded the Type I, a model produced in limited quantities during the war. Allied bombing ensured that the factory was heavily damaged, with production not resuming until 1948 under the auspices of a new West German government. In 1949, the first models arrived in the US, six years before Volkswagen of America established its own base of operation. By then, the Type I was popularly referenced as the Volkswagen Beetle, eventually becoming one of the best-known vehicles in the world. 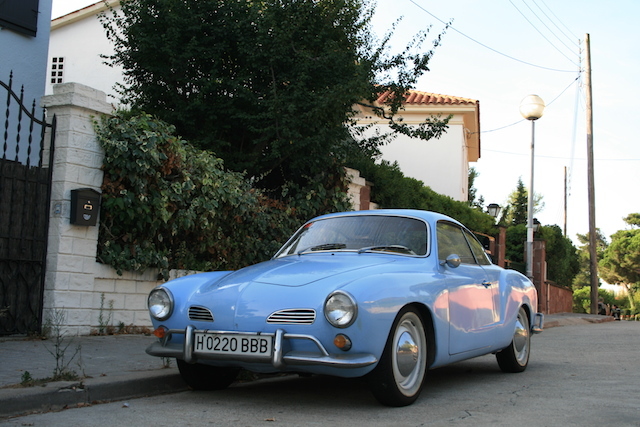 But the Type I Beetle wasn’t the only vehicle produced by Volkswagen in its first several decades. The Beetle was later joined by the Karmann Ghia, the 1500/1600, and also the Type 2 or “Bus” in the United States. 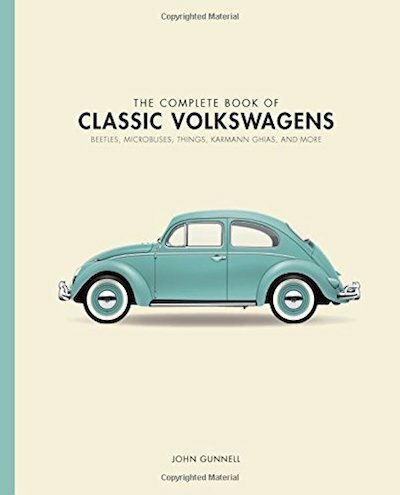 Chronicling all this is a major proposition, something prolific classic car author John Gunnell managed quite well in his 2017 undertaking, “The Complete Book of Classic Volkswagens: Beetles, Microbuses, Things, Karman Ghias, and More.” Published by Motorbooks (Quarto Knows), “Classic Beetles” is a hard-cover book with a suggested retail price of $50 and available at most bookstores (288 pages; SBN: 9780760349878). Motorbooks supplied me with a media copy during the summer. Over the next several weeks, I dove into the pages, eager to discover a few things about the brand I grew up with during the 1960s and 1970s. It turns out that there is a lot of information about Volkswagen and its various products that may be unfamiliar to most people. For instance, the very first Volkswagens sold in the US came by Max Hoffman, an Austrian-born, New York-based importer of fine luxury European models. From 1950 to 1953, Hoffman was the exclusive importer and distributor for Volkswagen for the eastern United States. He managed to overcome media criticism and lingering anti-German sentiment to introduce the car and the brand, paving the way for Volkswagen to take over operations in 1955. The Beetle, of course, dominated sales for many years. To get sales going in the US, Hoffman worked his Porsche and Jaguar connections to convince dealers to take his cars. In exchange for expedited delivery of the luxury models, dealers agreed to take one or two VWs with their orders. Because the cars were so inexpensive, they were easy to market. The earliest Beetles produced all of 24 horsepower, but ongoing changes yielded more power, while introducing improved parts including hydraulically-operated brakes on all four wheels. The first few models also had a split rear-window, replaced by a single oval rear window in 1953. Additional changes to follow over the coming years included larger and more powerful engines, a synchromesh manual transmission, tubeless tires, dual-circuit brakes, and 12-volt electronics. By the mid-1960s, Volkswagen was selling more than 400,000 Beetles annually. Consider this number for a moment. Today, very few models sell at that clip. The Ford F-Series pickup truck doubles that number, while the Toyota Camry roughly matches what the Beetle sold then. But the Beetle’s demise was already forecast and Volkswagen began work on an all-new model, which debuted in 1974 as the Golf (Rabbit in the US). Beetle sales continued until the late 1970s in the US, but the model could not comply with stringent pollution regulations. Production continued in Brazil and Mexico, with the latter building the last Beetles. The final model sold in 2003, about 75 years after the first Volkswagen rolled out. Gunnell focused about half his book on the Beetle, before taking a deep dive into all things Bus. Yes, the Bus or Type 2 were Volkswagen’s second most important model in the US, known as the Transporter in other markets. 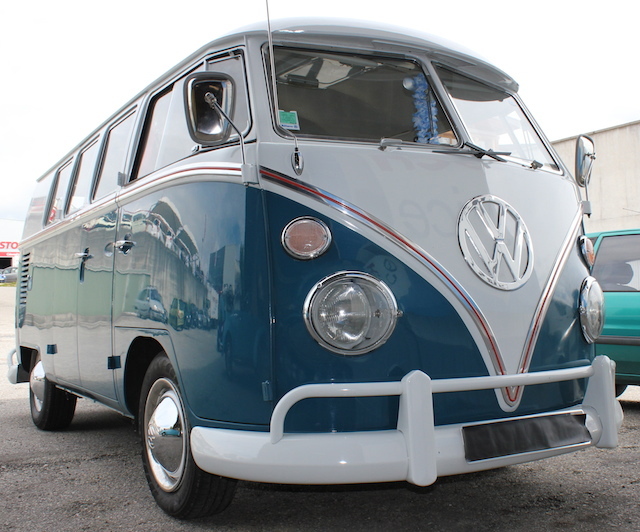 Like the Beetle, the Bus had a rear-engine, rear-wheel drive layout with room for seven or eight passengers. The interesting thing about the Bus is that although Chrysler claimed to have started the minivan revolution in 1983, the Bus was itself a miniature van. A big difference though is that the original Plymouth Voyager and Dodge Caravan shared architecture with Chrysler’s “K” cars, while the Bus utilized a separate architecture that also yielded trucks. The Bus, along with the Beetle, also became a symbol of the US 1960s, popularized by “hippies” and prized by families alike. Woefully underpowered, it was available as a panel van and in some markets as a flatbed pickup truck. Lesser known models also receiving attention included the Karman Ghia, a 2+2 sport coupe based on the Beetle’s architecture, yet Italian designed. Also available as a convertible, the Karmann Ghia never achieved anywhere near the success of the Beetle, with fewer than 500,000 models built worldwide, compared to the record-setting 23 million units for the Beetle. And of course I’d be remiss if I didn’t mention “The Thing,” a model largely unheard of, but not forgotten by collectors. This model’s design was loosely based on a World War II-era Jeep-like military vehicle and sold for only two years in the US. 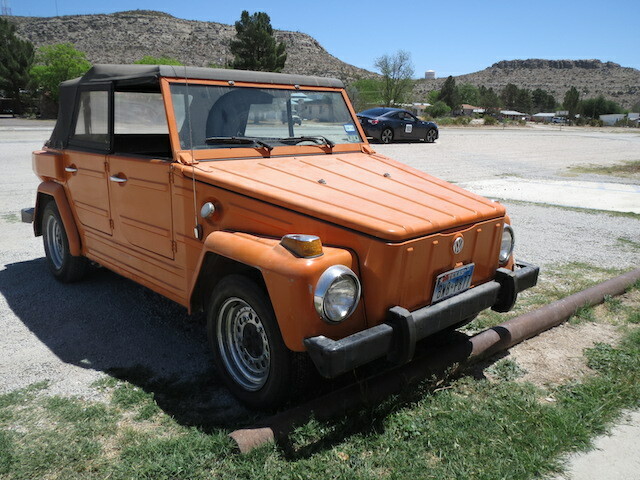 There were too many safety issues surrounding this quirkiest of all Volkswagens, thus the automaker pulled it from the market. I left out any mention of two other very similar models, the Type 3 1500 coupe and convertible and the 1600 square back wagon. Both models sold alongside other VW products in the 1960s, giving the brand one of its strongest product lineups ever. Fittingly, Classic Volkswagens covers the brand’s vehicles only through the mid-1970s. With the eventual demise of the Beetle and the rise of the Golf followed by the Jetta and other modern, front-wheel drive vehicles, Volkswagen survived a much-needed transition that has helped the parent company, Volkswagen Group, become the world’s largest automaker today. 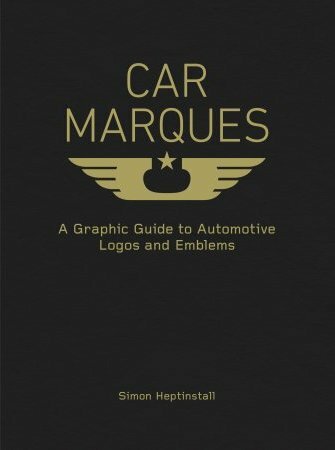 I read automotive books to find out what the authors are saying. Gunnell’s coverage of all things Volkswagen antiquity should interest VW fans. As such, it makes an ideal gift at Christmas, for birthdays or for any other special occasion.